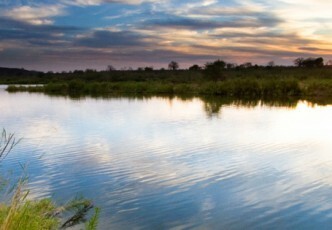 Although up to seventy percent of Botswana is dominated by Kalahari Desert, spectacular river systems in the north of the country form a diverse mosaic of rich habitats that support the greatest concentration of wildlife on the African continent. 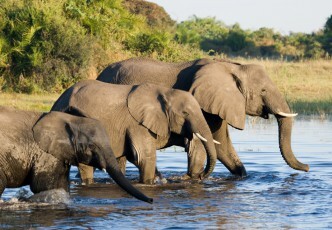 Top attractions such as the Chobe National Park and the Okavango Delta offer some of the best and most memorable safaris in Southern Africa. Cape Town, in the Western Cape Province of South Africa, is one of the most popular cities in the world. 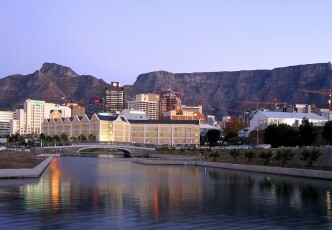 It is the second largest city in South Africa, its seat of the National Parliament and legislative capital. 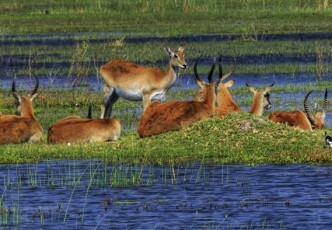 In the far north of Namibia, the Caprivi region provides a stunning contrast to the rest of this arid country. 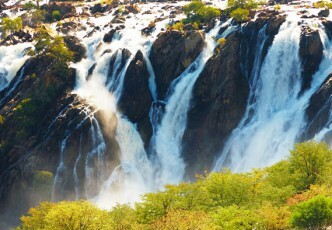 Bordered by Angola, Zambia, Zimbabwe and Botswana this strip of land is transformed into verdant paradise washed by waters of four great perennial African rivers – the Kwando, Kavango, Chobe and the mighty Zambezi. 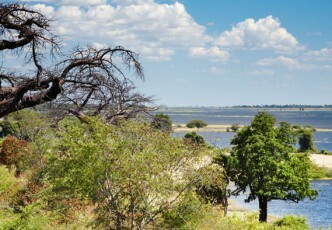 The Chobe River forms part of the Botswana border with Namibia, and it is the life-blood of the Chobe National Park with many of the eco-sensitive safari lodges tucked discreetly along the river banks shaded by gracious hardwood trees. 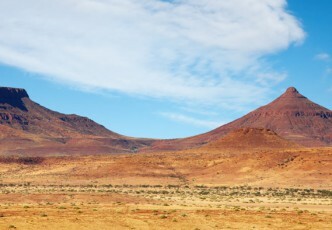 Damaraland, also known as the Kunene Region, is a vast area covering the north-west and central parts of Namibia that is famed for its extraordinary rugged, untamed scenery. It is characterised by ancient dry watercourses with valleys, open plains and grasslands, massive rocky outcrops and deep gorges. 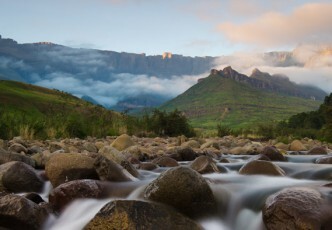 KwaZulu-Natal’s attractions include a wide variety of scenery: from the untamed wilderness areas to attractive sandy beaches, the soaring peaks of the Drakensberg and the now peaceful Battlefield areas. Here you can spend your time relaxing on the beach, or climb the peaks of the majestic Drakensberg Mountains. Or you can have close-up encounters with wildlife, and discover the cultural heritage of the Battlefields and Zululand areas – there truly is something for everyone to enjoy. 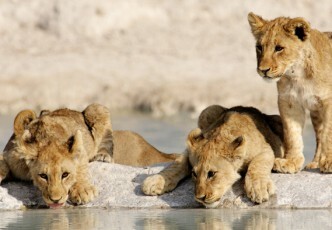 Etosha National Park, the ‘place of dry water’ with is vast mirage-inducing saltpan and abundant animal and birdlife is the premier game-viewing destination in Namibia. 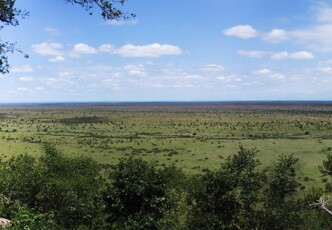 The Park is a 22 270 square kilometre (8598 square mile) reserve that encompasses Etosha Pan, a relic of an ancient lake. 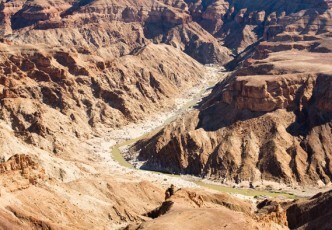 The impressive Fish River Canyon, situated in the south of Namibia, is the second largest canyon in the world, and the largest in Africa. It features a 160 kilometre long (100 mile) ravine, which is up to 27 kilometres wide and in places 550 metres deep. 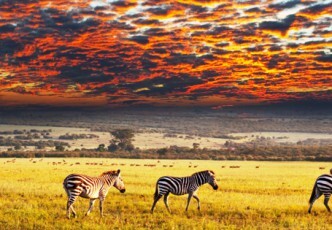 Many visitors to South Africa will touch down in the “City of Gold”. 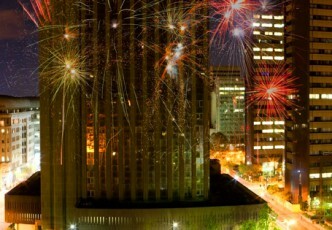 Johannesburg is Africa’s economic powerhouse, and the city is worth more than a fleeting stay over in an airport hotel. 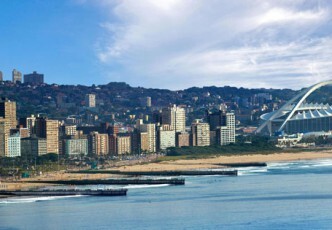 From its soaring mountains, across its verdant plateaus, through its green hills and valleys to its long stretch of popular golden Indian Ocean coastline, KwaZulu-Natal is warm and inviting, fascinatingly diverse and multi-cultural. 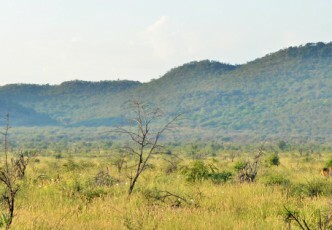 Madikwe Game Reserve in South Africa’s North West Province just a 4-hour drive or 1½ hour flight from Johannesburg is one of the country’s largest game reserves and is a firm favourite with all ages. This malaria-free destination offers a range of accommodation in lodges that cater for every discerning traveller’s needs. 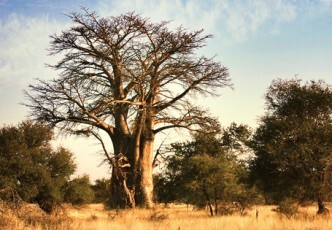 Maun has an eclectic charm that comes from its enticing mix of old and new. It is a town where traditional rondavels and dwellings are interspersed with more modern buildings and streets. 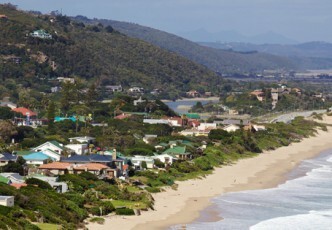 Situated halfway between Cape Town and Port Elizabeth is the seaside town of Mossel Bay, a bustling summer holiday resort. With its mild all-year climate, it is also a popular winter retreat. For the adventure-seeker, there is White Shark cage-diving or skydiving. 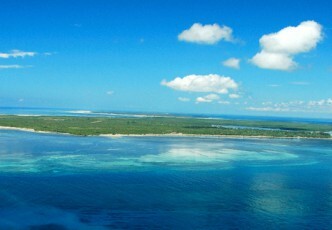 Mozambique offers visitors 2500 kilometres of incredible tropical coastline. Golden sunshine, sumptuous seafood and crystal clear waters are just a few of the highlights this East Coast destination has to offer. 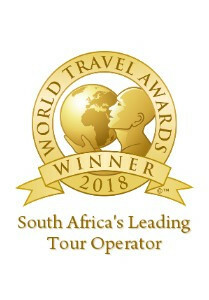 We’ve been in operation for more than 6 decades, and Springbok Atlas Tours & Safaris has a wealth of knowledge to share about Southern Africa’s top destinations. 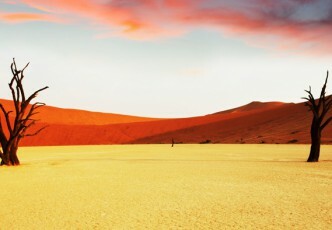 Namibia is an immense, sparsely populated land with seemingly endless horizons. 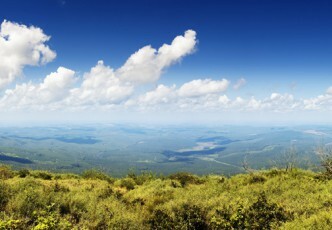 Its extraordinary landscapes and spectacular attractions have to be seen to be believed, and will never be forgotten. 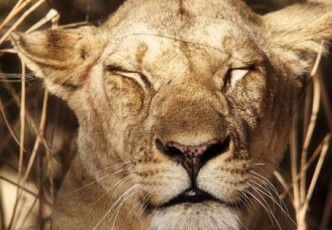 The Okavango River begins as a trickle of rainwater in the Angolan Highlands and ends by creating a remarkable, wild Eden in the dry north-western Botswana. 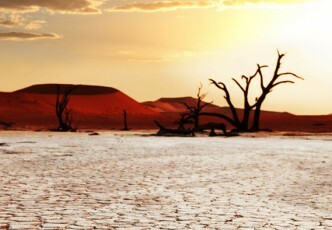 ‘The river which never finds the sea’ spills its waters over the Kalahari Desert sands and forms the world’s largest inland delta. 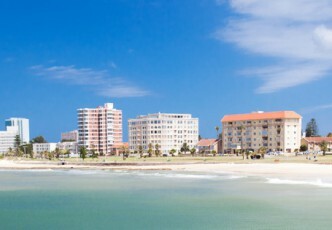 With its lovely stretch of golden, sandy Indian Ocean beaches, Port Elizabeth is known for its open friendliness and the warm welcome it offers visitors. A harbour city, situated on the shores of Algoa Bay, ‘PE’ as it is locally called, is the major centre of the south east Coast of South Africa, and the economic hub of the Eastern Cape Province. Richards Bay, a town on the east coast of South Africa, has one of the country’s largest harbours.Situated in the north of the province of KwaZulu-Natal, Richard’s Bay is a gateway to Zululand,offering easy access to the wide range of cultural villages and game reserves in the area. Sossusvlei is an extraordinary dry salt and white clay pan surrounded by the soaring red dunes of ancient Namib sands situated in the Namib-Naukluft National Park, in the south of the country. South Africa is often described as a “world in one country” because in every aspect – from its landscapes to cultures, from its people to places, from its human heritage to its natural history – it is astonishingly diverse. 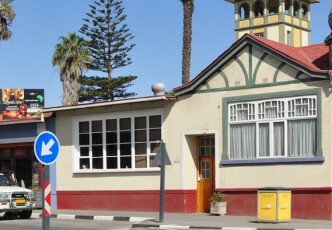 “Timeless” is the word most often used to describe Swakopmund, a historic German colonial era town that is a favourite holiday destination for both locals and visitors. Situated south west of Windhoek on the foggy Atlantic coast in the Namib Desert, it is a somewhat surreal and gracious hamlet set amidst sea and sand. 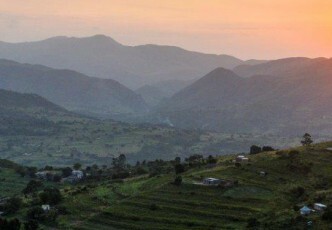 The kingdom of Swaziland—though one of the smallest countries in Africa—has so much to offer when it comes to activities, culture, wildlife and handicrafts, as well as a striking landscape that will take you by surprise. Most visitors to Namibia start and end their holidays in Windhoek; and this interesting and attractive city, surrounded by rugged, dry mountains, is well worth exploring. 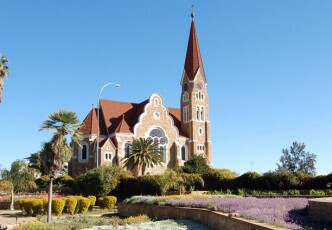 Windhoek is an enticing melting pot of African and European cultures situated on the sloping plain of the northern Khomas Hochland (meaning ‘Highlands’) in the centre of Namibia. 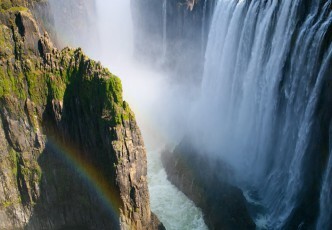 Whatever may occur on Zimbabwe’s political landscape the country is home to outstanding wildlife and a dramatic natural landscape holds many treasures for visitors.